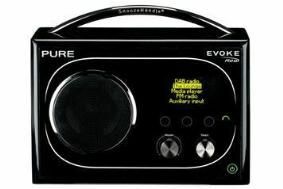 HOT DEALS: Our top 10 DAB/internet radio bargains | What Hi-Fi? With the Government pushing for a switchover to DAB radio by 2015, anyone buying a new radio for Christmas would be well advised to buy a DAB or internet model. With that in mind, we've picked our favourite digital or wi-fi models for a variety of purposes and budgets. All of them have received a coveted five-star review from What Hi-Fi? Sound and Vision. Best deal: win one for free! Discover plenty more DAB bargains here, and check out the rest of our Top 10 bargain buys for Christmas. If you spot any more great deals, let us know in the Comment box below.